Melody's Prince (barn name Alex) is a 2006 Jockey Club registered Thoroughbred. He is by Casino Prince who has a race record of 32 starts, 7 wins, 4 places, 3 shows and career earnings of $304,174. 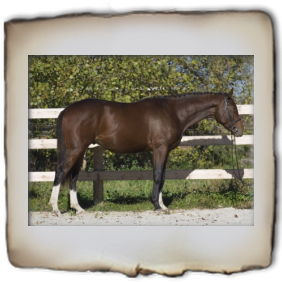 He was our first foal out of Stardust Melodies, a 16.2h full body chestnut Thoroughbred with gorgeous hunter movement. 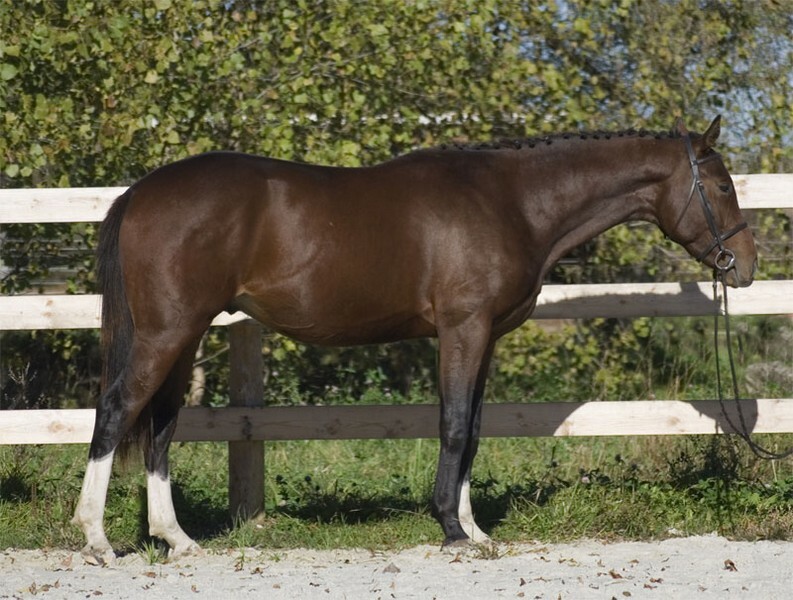 Before Melody's Prince was gelded he was bred to two of our broodmares, Driving Rosa Wild and Timely Purpose TB for foals in 2009. Out of Driving Rosa Wild is Daisy, a tall, leggy, very correct filly born April 26, 2009. 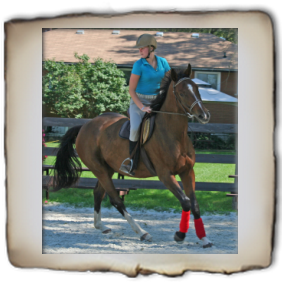 Melody's Prince is working under saddle and shows great signs of jumper potential. 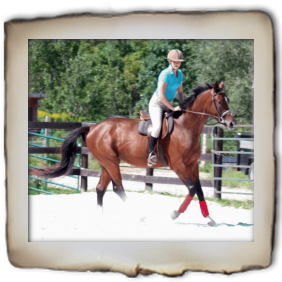 He has traveled off property and has attended schooling shows. He has a wonderful personality and is a joy to work with. He just can't do enough to try to please you and is so obedient at all times. 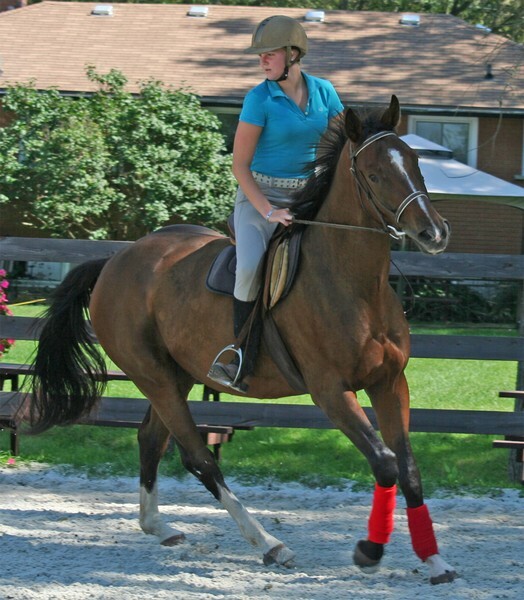 Alex has been sold and congratulations to his new owners Leslie & Hailey.